The first time trial of the open racing season took place in Cavan on Sunday. Breffni Wheelers promoted the action in a 10 miles race against the clock. Results below. 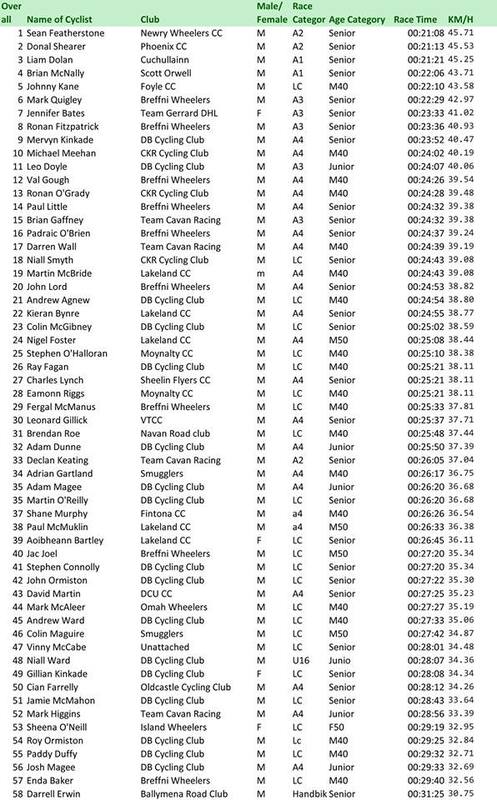 This was also the opening event in the new season long Cycling Ulster Time Trial Rankings System. The top 40 riders overall securing points.